Golden Skate is saddened to learn of the passing of our colleague and friend, J. Barry Mittan, on January 23, 2013, in Tallahassee, Florida. 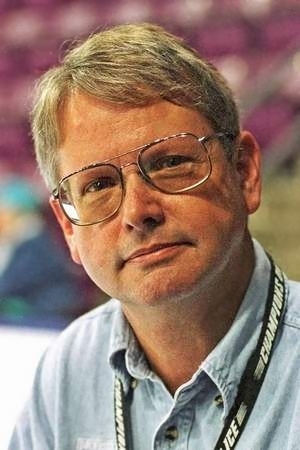 Barry was one of the most respected and present photojournalists in the sport of figure skating, and provided thousands of images to media outlets and skaters alike. He was most proud of his Professional Skaters Association Edi Scholden Awards for Best Figure Skating Photograph of the Year in 1996 and 1998. Barry is survived by his wife, Jayne, brother Gary, and two sisters, Marla and Beverlei. He was 63. Barry was a graduate of Florida State University, and was a member of the FSU Flying High Circus where he performed on slack wire and as a juggler. After a 30-year career with the Florida Department of Health, Barry turned his attention to his other loves—gardening, animals, and travel, which became a huge part of his life in recent years. Barry and Jayne recently traveled to Bali and Indonesia. “Our last trip together was to Bali and Indonesia where he fulfilled his dream of seeing Komodo Dragon lizards in the wild,” she said. In addition to his lending his pen to the world of figure skating, Barry was also a published book author. “He recently completed his 8th book with photos and documentation of our many travels on MyPublisher.com,” Jayne revealed. As news of his passing spread throughout the skating community, athletes and colleagues posted messages of love, shared memories, and expressed sympathy to Barry’s family and friends. “RIP Barry Mittan. Skating has lost a great advocate and a wonderful friend,” a two-time European ice dance bronze medalist posted on Facebook. Per Barry’s request, no services will be held. In lieu of flowers, donations may be made to the Leon County Humane Society, the local chapter of the American Red Cross, or the Florida Wildlife Federation in his memory.